For many people, it is the moment they have dreamed about their whole life. Finding that perfect someone that you just cannot bare to think about life without. This person is your future and you want to spend the rest of your life with them. 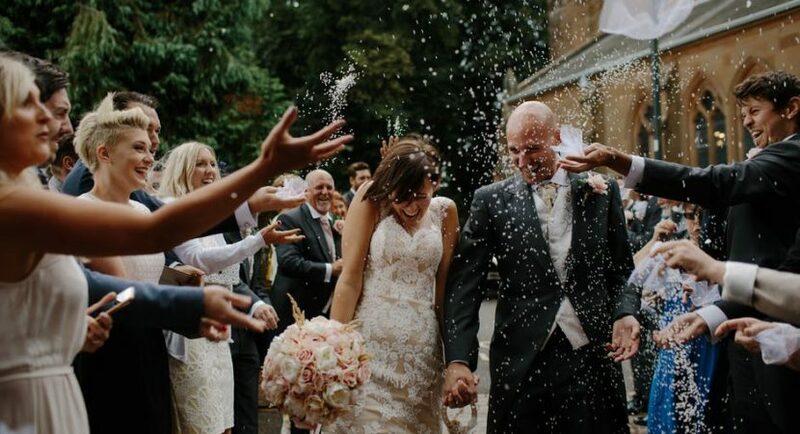 The majority of people will choose to celebrate such feelings in a traditional way, with the decision of getting married and making a public commitment to each other to spend the rest of your time together. For ideas on how to propose, talk to your loved one’s friends and family. There may be a childhood dream that you may be able to fulfill! If they have no ideas, go for something creative and unique which matches your own relationship. Don’t be tempted by just doing what everyone else is doing online, this is your special day, you should make it your own. Proposing may seem like the hard part, but when they say yes, you suddenly realise that there is a lot to do before the Big Day. So many things to consider. It feels overwhelming and confusing. You may start to feel nervous and anxious about all these decisions you have ahead of you, but don’t forget to feel equally as excited about this big adventure too! On your list of things to think about, you must make choices over the date and the venue. Will you go for a summer or winter wedding? Will you celebrate close to home or go for an exotic destination? Next you must consider how many people you want to celebrate with you. You should think about what you want to eat, if you want there to be a theme and which photographer to choose. But, of course, the biggest decision is over what to wear. With all of these heavy decisions weighing on your shoulders, it is unsurprising that many people seek help from specialized Wedding Services to advise on the best options and help you plan and organise your Big Day. Such wedding services offer a plethora of different packages to help make the organisation so much easier. You will be so relaxed in the hands of such experienced people who know how to throw a good party. They will have ideas that you have not even considered that you might absolutely love. For example, services such as these not only provide packages of both video and photo for the wedding day itself, but they can also do engagement shoots before the Big Day too. They might also be able to advise on entertainment and it is likely that, if they are local to the area, they have plenty of contacts you can talk to too. In many cases such wedding services also offer help to decorate the venue and even book wedding cars! You will be so pleased to have an extra pair of helping hand by your side. The day itself will be completely overwhelming, so many people and so many well wishes, you will have a blast but it may well leave you feeling slightly deflated after the event. Bare this in mind when planning the day and choose to leave some fun and exciting things for after the wedding to help you to adjust to married life. Of course, a honeymoon is the perfect idea and will give you plenty of time to enjoy a well deserved break!